Price House Cottage Bed & Breakfast offers luxury in uniquely private surroundings. Your accommodations are in a 200 year old servants quarters that has been restored to exacting detail. Furnishings which were selected by an interior designer include antiques, antique reproductions, and upholstered pieces to provide beauty, comfort, and relaxation. Handsome luxury upgrades were made to the bathroom and kitchen in Spring 2013. Our guests regularly comment that "no detail has been overlooked". The separate living room has a fireplace, HD cable television and plenty of room to relax. The bedroom features a four poster canopied bed fitted with fine cotton bed linens and luxurious pillows. The sitting area with small dining table is perfect for a cup of coffee or tea in the morning, or for a breakfast brought to you in your cottage. 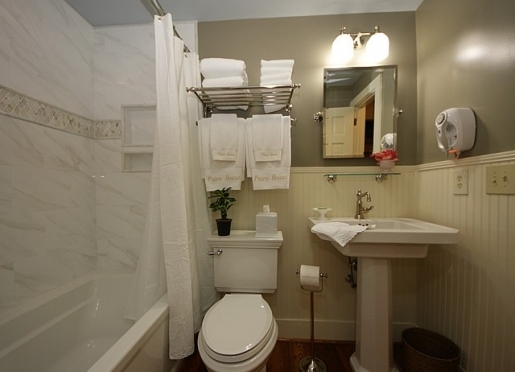 The bathroom has tub with tiled shower, pedestal sink, beadboard wainscotting and an abundant supply of fluffy towels and face clothes. Monogrammed terrycloth robes are available in the bedroom double wide closet. The full kitchen features granite countertops with a stove, microwave, Keurig coffee maker, dishwasher and refrigerator freezer with ice maker. 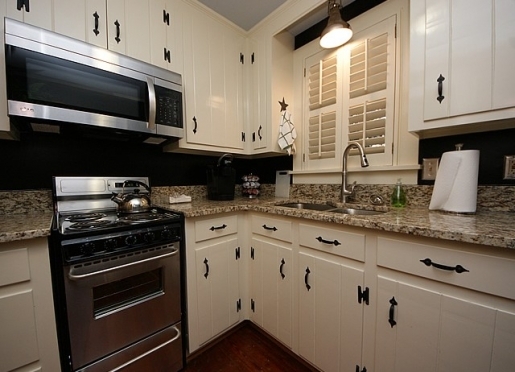 The cupboards and refrigerator are kept stocked with coffee, tea, popcorn, and soft drinks. The cottage has its own private paved driveway with off-street parking. Separated from the main house by a hundred feet, a stone and brick walk connects the two. The cottage has its own large brick patio, which is ideal for coffee in the morning, al fresco breakfasts or afternoon libations. The main house has been lovingly restored and professionally decorated, featuring many period antiques. Everything is done to give our guests a memorable experience where luxury, comfort, and friendliness exist together. Both Jennifer and David are accomplished cooks and enjoy preparing the breakfasts for our guests. Breakfasts feature innovative and delicious gourmet presentations of fruit dishes, waffles, french toasts, eggs, casseroles, and baked goods and are presented to guests in the Cottage for their leisurely enjoyment there. We make every effort to ensure that what is prepared for you takes into account your food likes and dislikes, as well as any food allergies. Travelers are always looking for memorable and relaxing experiences. Let’s discover more through the words of our innkeepers. Many thanks to David Price for sharing his own secrets with BBOnline.com! Travelers that visit us are mostly tourists and vacationers here to see the Charleston area. 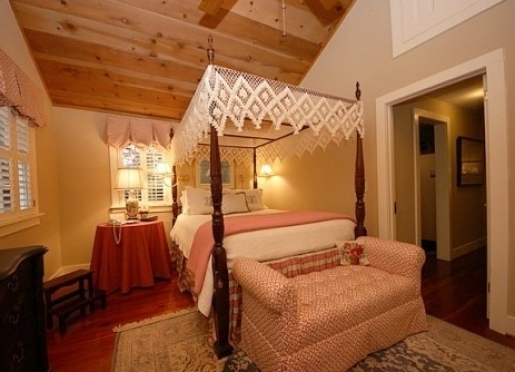 Visitors love that our cottage is a former servant quarters built in 1812. 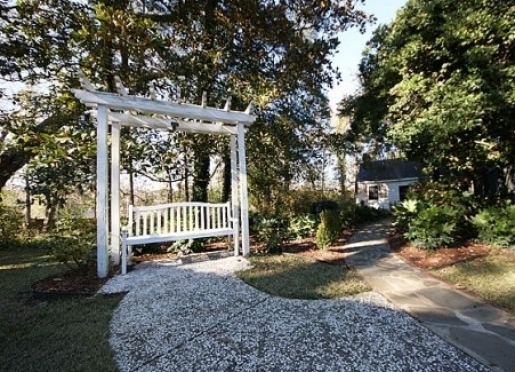 The cottage is 800 square feet and has its own private driveway. It has many amenities and is comparable to a small luxury home. We are known for our great location, wonderful food and the privacy that guests enjoy with us. Our cottage is one of the few remaining ante-bellum servant quarters in the state that are available to the public. People tend to get excited at the prospect of staying in a cottage that is so old! We love how peaceful it is here and we really enjoy our guests! Summerville's proximity to Charleston is the #1 reason to visit this area. We are actually closer to the many famous plantations than Charleston is, and we are less than 30 minutes to the Charleston historic district. Summerville is also a very nice destination with a vibrant village center for shopping and dining. We love compliments and receive many, but our favorites are when people say they don't want to leave and that the Cottage is even better than it appears online. Summerville actually has a very robust history. Many of Charleston's plantation owners built houses here to get away from summer insects and diseases prevalent in the lowerlieing areas near the rivers and the harbor. 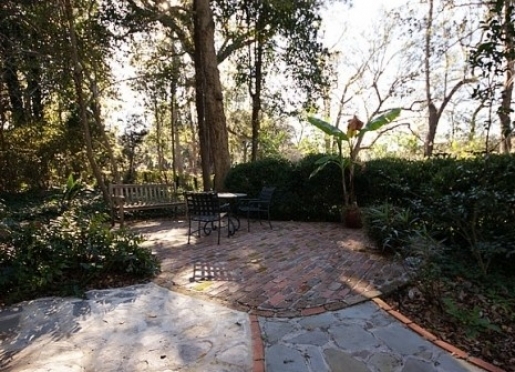 For those staying for more than just a weekend, we suggest spending two days in Charleston, a day going on plantation and garden tours, and a day in the old part of Summerville. We are in the heart of Summerville's historic district and the historic downtown square is within easy walking distance of the cottage. Throughout our parks and downtown are public sculptures which are placed by Sculpture in the South and the BIRDS (birds in residence in downtown Summerville). We love Oscar's in Summerville. For wine lovers, Summerville has a wonderful and approachable wine bar, Accent on Wine, on the Village Square. There are numerous world class restaurants in Charleston which we can recommend. Good websites for Summerville activities include Summerville DREAM and the Town of Summerville. Two great resources for Charleston are Historic Charleston Foundation and The Preservation Society of Charleston. 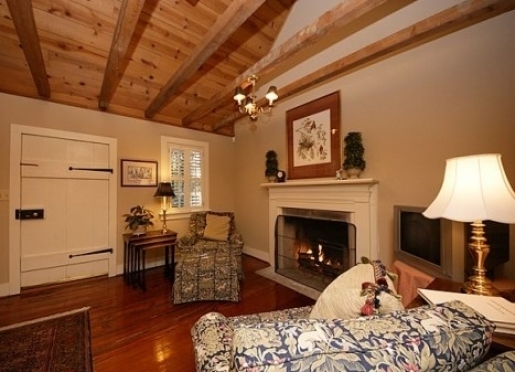 The cottage has a bedroom, full kitchen, bathroom, and living room with a fireplace. it's great for couples but can comfortably sleep up to 4 with the queen sofa bed. The cottage has been completely renovated in 2013. Yes, we are happy to accept pets on a case by case basis. "If it rains," Jennifer Price had advised us, "you're in for a real treat." That night, somewhere in the far depths of a snug sleep, pitter-patters were heard in the direction of "up." They quickened and loudened to firm plops. Was Jennifer's notion guiding the plot of a dream? No. In an instant, without opening my eyes and coming fully awake, I knew it was the real item: rain on a tin roof. I smiled and tumbled securely back into the depths. For my wife Sherie, the queen canopied rice bed with rain on the roof was only part of the comfort. "My kinda place," she'd said the evening before, settling by the fire after a bubble bath. "They have throw rugs to warm your feet!" She also appreciated the extra pillows, blankets and towels - the first items she looks for. The hosts provide turn-down service, and Jennifer irons the 300-count cotton bed linens. It's a gorgeously restored servants' cottage, approximately as old as the circa-1812 main house - one of the earliest homes in the part of town locals call "Old Summerville." The living room (comfortable furniture!) occupies one end, the bedroom the other, with the bath and full kitchen on either side of the connecting hall. Open ceilings with high fans in the two main rooms add to the spacious aura. Guests find all the extras, including phone and cable TV. Every angle and view is photogenic, every object carefully placed, from the Old Charleston and floral prints to Jennifer's flower arrangements to the antique and reproduction furniture and rugs on the wide, heart pine floors. Jennifer's husband David bought the house in 1974 and continued the restoration that had been started by a previous owner. 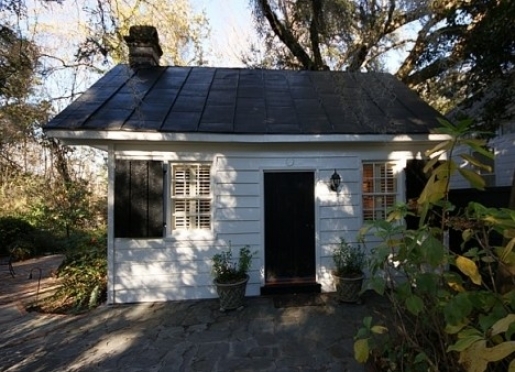 The 800-square-foot cottage, secluded and charming, has won the Summerville Preservation Society Restoration Award. During the week, the Prices provide a gourmet continental breakfast (sa-vory and sweet breads). On weekends, they indulge in one of their favorite hobbies: cooking. "One of the things we love to do," David said, "is cook. It's difficult to get inspired to cook just for yourselves." "We both like to cook," Jennifer added, "but we cook differently. He cooks more creatively; I cook more . . . heavily." Our meal began with carved cantaloupe topped with a mix of berries - a work of art - with white cheddar cheese and thyme biscuits on the side. The main course was baked avocado eggs with chopped ham, tomatoes, parmesan cheese and sour cream. They also like to serve pumpkin Belgian waffles with maple syrup and whipped cream; corn meal Belgian waffles with smoked salmon and caviar crème fraîche; crème brulee French toast; basil eggs in a puffed pastry shell; and fried grits. Their summertime special is baked tomato pie with fresh basil and Vermont white cheddar cheese. Jennifer is from Spartanburg and works as an interior decorator and operating room nurse. David, an ophthalmologist, grew up in Washington, DC, and came to the Charleston area as an Air Force doctor. He soon decided that after his service stint, he wanted two things: to establish his practice in South Carolina and to buy and renovate an historic house. Friends suggested Summerville. When his realtor brought him to this home, he asserted, without scrutiny, that he would buy it. The idea for opening a B&B came in 1997, while the Prices were having some work done inside the main house and occupying the cottage. Having stayed at a number of B&Bs in America and Europe, they realized their own facility was uniquely attractive. Notable lodgers have included the ambassador from The Netherlands and a travel photographer who now makes the cottage her venue when in the area on assignment. The Prices feature special offers like wine dinner packages in conjunction with The Woodlands resort (see the article on Summerville, pages 6-11 of this issue) and comp tickets to one of the area's famous gardens for guests staying three or more nights. "We haven't had any people stay here who we wouldn't want to have back," David observed. "The thing that's shocked us is that when people leave, they thank us - as if we'd paid them to stay." Come here and you'll understand. "This really is a very comfortable place," Sherie concluded, glancing around before we left. "It's a retreat - and a treat."